If there’s anything that’s become apparent from the last week of conversation between Robert Kirkman and his fans, it’s that when it comes to unresolved cliffhangers, we can’t believe a word this guy is saying. Earlier this month during a Reddit AMA, Kirkman casually and “accidentally” revealed Carl was the one who got his head bashed in by Negan. This is the least likely candidate for anyone who paid attention to the episode; Negan made a point to mention he wasn’t choosing Carl, or his dad Rick. Everybody ignored that one blurb on Reddit, which must have inspired Kirkman to get more daring. 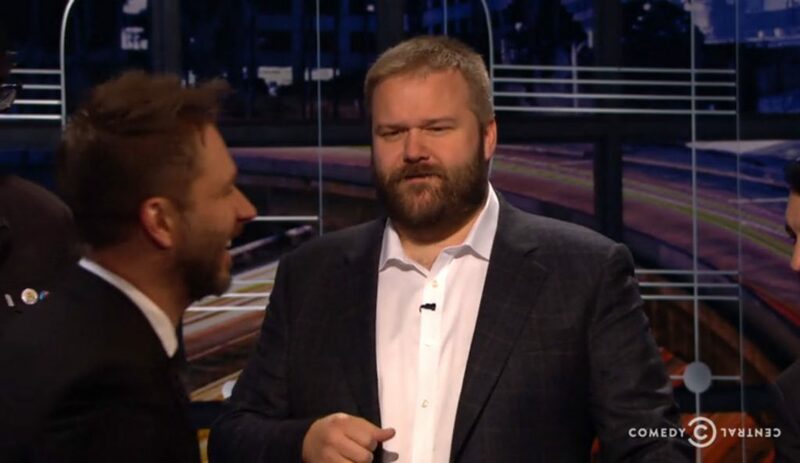 During an episode of Comedy Central’s @Midnight where Kirkman was a guest, angry tweets were read aloud from fans who couldn’t stand the cliffhanger. In response, Kirkman said those fans will be even angrier “when they find out that Negan killed Carl.” I’m told some of the dimmer fans actually bought it this time. Quite the string of bombshells if it’s authentic, but given every other recent comment…..no, I don’t think so. Don’t be shocked if anybody on his list actually does meet their end sometime down the line, but it would likely have nothing to do with this list.